WE WILL MAKE YOUR DREAM FISHING EXPERIENCE A REALITY. Book one of the Islamorada Fishing Charters aboard the LegaSea and experience an unforgettable Florida Keys Sportfishing adventure in the sport fishing capital of the world. LegaSea charters operate with flexibility to meet your needs and are available in periods of full day or partial day trips all year round, whatever your fishing interest. You will find that the Captain and his crew are not only competent and experienced but they are also very knowledgeable about where, when, how and what to fish in the area. They will guide and assist anyone, from first timers to experienced anglers, including families with or without children and, in general, people of varying ages who have made the smart decision to enjoy fishing aboard the LegaSea, a Florida Keys Fishing Charter. The team works hard to ensure that all who go onboard will have the experience of a lifetime! And, if there are any special needs, questions, or concerns, the Captain and crew are readily available to provide all necessary answers and assistance. The LegaSea is a custom built 34’ Buddy Davis boat that comfortably and safely accommodates up to six passengers. The boat includes all your fishing needs and is well maintained with clean bathroom facilities. Only top of the line tackle such as Shimano, Penn, Diawa, Mustad and Gamakatsu are used on this boat. You only need to take on board your food and drink and an appetite for a great Islamorada Offshore Fishing adventure. COMING SOON!!! – A new LegaSea – a 45’ Lemay custom Carolina boat, is to be added to the fleet. 2. Waters with a spectacular and abundant marine life. Add to these a competent, experienced and knowledgeable Captain and crew whose purpose is to ensure you have a safe, incredible, fun filled and unforgettable fishing experience and you have a winning combination that guarantees your fishing expectations will be exceeded. The charters are geared to meet the interests of all who want to fish. 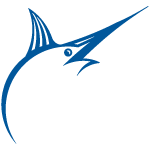 The fishing experience and the types of fishing desired help to inform the Florida Keys Sailfish Charters that are arranged. These include Islamorada Deep Sea Fishing, Islamorada Sports Fishing and Islamorada Sailfish Charter. ** Swordfishing is only offered as a one day fishing trip. i. This trip is offered as an all year round seasonal catch. ii. It is a full day trip with departure from the dock by 6:00 a.m. and return to the dock at dusk. iii. Sword fishing grounds are 24 miles offshore out to and past the Gulf Stream. iv. Electric reels that drop 1,500 feet down for the bite are used. v.	Swordfish range from 50lbs up to 800lbs which makes them a fun fight. i.	Kite Fishing is done with live bait which includes Google-eye, Pilchards, Ballyhoo, Cigar, Minnows, and Threadfin. We use what we catch for bait each day unless we have it penned up. ii. The LegaSea uses electric reels to fly the kites. iii. Kite fishing is good because it keeps the bait on top of the water so you can see the bite. iv. While Kite Fishing, we catch Sailfish, Kingfish, Tuna, Wahoo and any other deep sea surface biting fish. v.	Normally, the Kite Fishing season is November through May. i. Offshore Fishing includes catching Dolphin (Mahi-mahi), Tuna, Wahoo, Sailfish, and Kingfish. 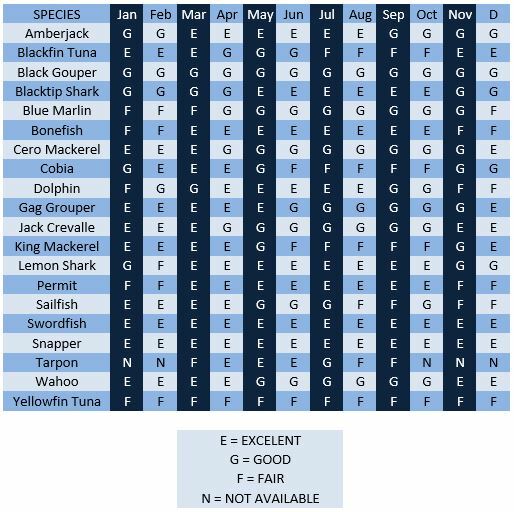 Some of these fish are seasonal. i.	Reef and Wreck fishing is recommended for ½ day fishing trips but full day trips are also an option. ii. We anchor up on the edge of the reef 4 to 5 miles from shore to catch a variety of Snapper, Grouper and other reef fish. iii. This trip is offered as an all year round seasonal catch. i. This trip is usually best during the hours of 4pm to 7pm. ii. Shark and Tarpon Fishing is great for family fun because it is a short trip close to shore where the water is normally calm with a lot of excitement. iii. The varieties of species we catch are Bull Sharks, Nurse Sharks, Black Tip Sharks, Lemon Sharks, Hammerhead Sharks, Tarpon and possibly Stingray. iv. This trip is offered as an all year round seasonal catch. Captain Joey Spaulding is a third-generation Florida Keys captain with over 20 years of experience fishing off the beautiful Islamorada coast. You could say that he grew up, along with his two brothers, on his father’s charter boat where he learnt the entire charter business from childhood to manhood. He was then able to branch off and successfully manage his own charter business. With all that fishing experience and spending most of his life on the water, Captain Joey has a deep respect and love for the ocean. Going aboard the LegaSea means being on a boat with a third-generation fisherman of the Florida Keys, and with that comes a wealth of information and some fun stories. Safety is always the #1 priority, and the crew pays special attention to children and first -time anglers. Captain Spaulding and his crew always spread their joy and passion of fishing each time they go out on the water. They will not pay attention to a clock – they stay out until you bring home the catch! Once the boat docks at the end of your adventure, your fish will be professionally cleaned and packaged, ready to cook at your home or any of the local restaurants such as Lazy Days, Bayside Gourmet, Chef Michael’s, Dillon’s Pub and Grill, Habanos Oceanfront Dining, Hog Heaven and Islamorada Shrimp Shack. The local restaurants will cook your catch how you would like it prepared. LegaSea Charters specializes in many different types of fishing, from light tackle to heavy tackle. We have all the different types of gear to ensure you catch the species your party would like to target. The LegaSea crew provides offshore, reef, and wreck fishing, reeling in a wide variety of fish including Snapper, Grouper, Dolphin or Mahi-mahi, Wahoo, Tuna, Kingfish, Sailfish and Swordfish. If you want to have fun and catch fish, the LegaSea is the boat for you. All bait and tackle is included in every trip however you are welcome to bring your own rod and reel or any personal fishing gear you would like to use. Trophy fish caught aboard the Legasea are offered to be mounted through Gray Taxidermy to take home as a forever souvenir of your fishing trip in the Florida Keys. T-shirts are available for purchase on the boat or call Joey and we will place a mail order for any at home purchases. 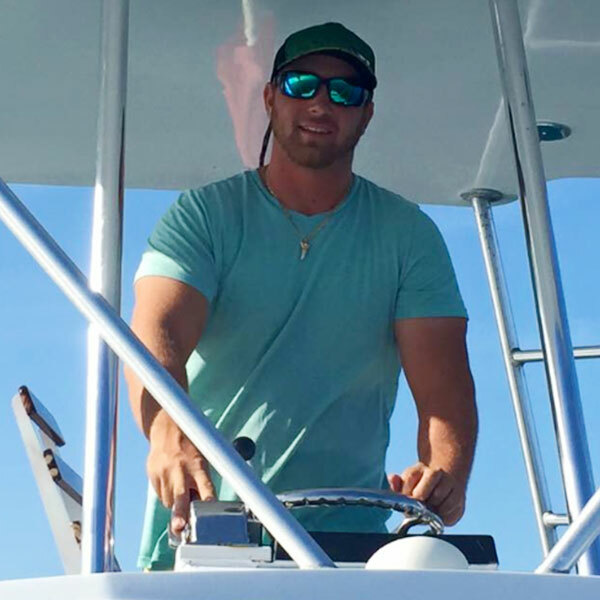 When you call LegaSea Charters you will be speaking directly to Captain Joey Spaulding, so any questions or concerns are answered right on the spot. We dock the Legasea at mile marker 84 roughly 5 miles north of Bud and Mary’s marina.